Do you know what campaign tagging is? Do you campaign tag? Campaign tagging is the ability for your web analytics to associate activity with different visitors and marketing. Campaign tags are pieces of data that you append to the end of URLs. They make your website URL look like this: pbs.org/?utm_source=enewsletter&utm_medium=email&utm_campaign=wolfhall. (But don’t worry, the link functions the same as normal!) This data automatically integrates with your Google Analytics account, so you don’t need to get your web developer involved. 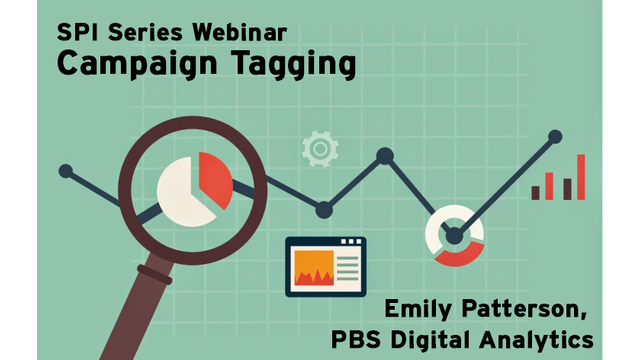 If that sounds overwhelming to tackle on your own then join Emily Patterson of PBS Digital Analytics as she walks you through how to campaign tag and the importance of it for your station.